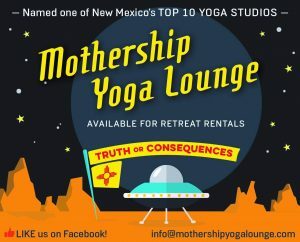 Recently named one of The Best 10 Yoga Studios in New Mexico, the Mothership is ideal for various retreats including yoga, meditation, dance, writing, business, or family/friend getaways. Our beautiful 1,600 square-foot studio, available for rent, is located in a renovated adobe church from the 1920’s with high ceilings and oak floors. The magical hot springs combined with comfortable accommodations and our downtown location offer everything you need for an easy-to-organize, unforgettable gathering. 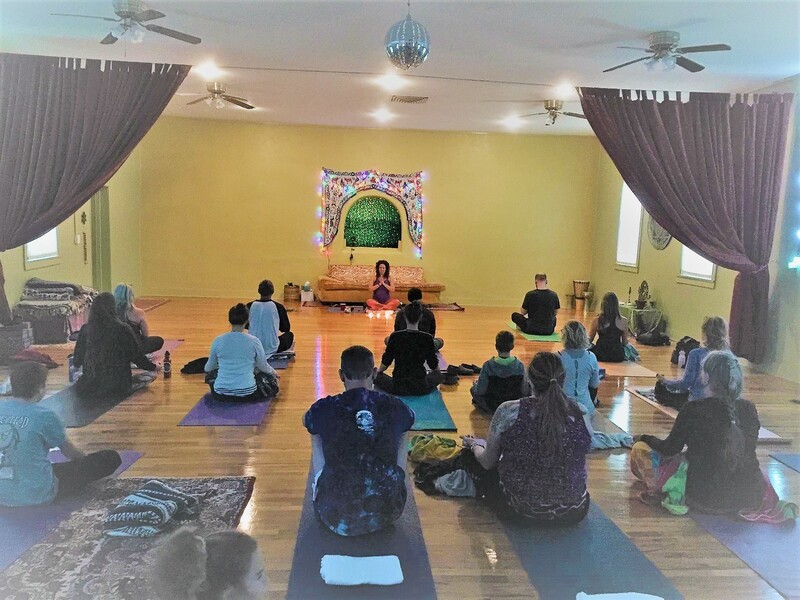 Mothership co-owner Shayna Turner is available to facilitate personalized yoga, chanting, meditation or women’s retreats. Please contact us for rates and additional information. If you’re looking to attend a retreat, please visit our Facebook Events Page to see what’s coming up!